(if you enjoy printed reports) astrology and numerology reports–http://michellepayton.com/printed-reports/. With these qualities in mind, Michelle applies Positive Hypnosis by not telling clients what to do using mind over techniques; what this means is Michelle facilitates and trains clients how to self-direct and draw from positive life experiences (since all learn through re-association) to enable them to build uplifting willpower to collapse unwanted habits or patterns. 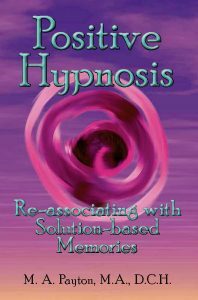 Positive Hypnosis and connected mind over matter techniques tap into the science of how the brain works and the science connected to self-gratitude and gratitude that re-creates a positive mindset to effectively problem-solve (click on the “Education” button for more details and free training videos). The following video reviews unintentional and intentional learning with quick suggestions to take intentional action at this moment. Remember that whatever tools you use on your path, you are the key to your well being.